The team at our eye care center has helped countless patients in the greater Detroit, MI. 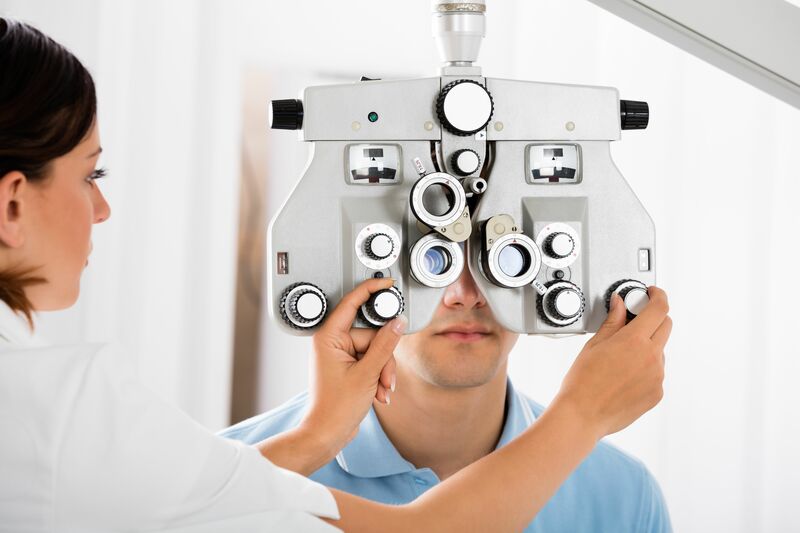 Our goal is to improve patient vision and quality of life, and to focus on preventative care and regular checkups. A wide variety of conditions can have a negative impact on your eyesight, which is why we’re here to help. Facts and figures can put many health concerns in perspective. With that in mind, let’s go over some interesting eye care statistics regarding vision quality and vision loss. Unless otherwise noted, the following numbers were compiled by the American Academy of Ophthalmology (AAO). Every year in the United States, roughly 2.4 million eye injuries are reported. Of this number, roughly 2,000 a day are attributed to workplace injuries. There’s also an estimated 125,000 at-home eye injuries every year. What’s most fascinating is that up to 90 percent of these injuries might have been prevented simply through the use of basic eye protection. More than 34 million Americans age 40 or older are nearsighted (myopic). Roughly 14.2 million Americans are farsighted (hyperopic). Astigmatism is also quite common, affecting around 1 in 3 Americans, and often accompanying nearsightedness or farsightedness. How Many People Rely on Corrective Lenses? To address refractive error, many people rely on corrective lenses. More than 150 million Americans wear corrective eyewear for their refractive error. In addition to glasses, approximately 37 million Americans wear contact lenses to address refractive error. While glasses and contacts are popular, more and more people have turned to laser eye surgery over the years. The Stein Eye Institute at UCLA estimates around 700,000 refractive surgery procedures performed each year. LASIK is so popular because of its effectiveness. Approximately 95 percent of LASIK patients are satisfied by the results of their surgery. Low Vision - This refers to cases in which someone’s best corrected vision is still worse than 20/40. This accounts for approximately 2.9 million Americans age 40 or older. Visual Impairment - This refers to cases in which someone’s best corrected vision in their best eye is still worse than 20/40. This accounts for approximately 4.2 million Americans age 40 or older. Blindness - This refers to cases in which someone’s best corrected vision in their best eye is still worse than 20/200. This accounts for approximately 1.3 million Americans age 40 or older. It’s estimated that 24.4 million Americans age 40 or older suffer from cataracts. Since cataracts are so common in the aging process, roughly half of all Americans age 75 or older develop cataracts. Glaucoma can develop over time and impair your vision without warning. Roughly 2.7 million Americans age 40 or older suffer from glaucoma. It’s important to have regular eye exams if you are at risk for this condition. Numbers from the Bright Focus Foundation found that 11 million Americans suffer from some form of age-related macular degeneration, a common cause of vision loss in advanced age. The Macular Degeneration Partnership estimates that 200,000 new people are diagnosed with AMD each year. People who suffer from diabetes for a long amount of time are likely to develop some kind of vision problem due to damaged blood vessels in the eyes. The National Eye Institute estimates that 7.7 million Americans suffer from diabetic retinopathy; this figure is expected to increase to 11.3 million by the year 2030. For more information about your eyesight and how we can help you achieve excellent vision, be sure to contact an experienced eye care expert. We will be more than happy to answer your questions and address your concerns so you can have healthy eyes for years to come.